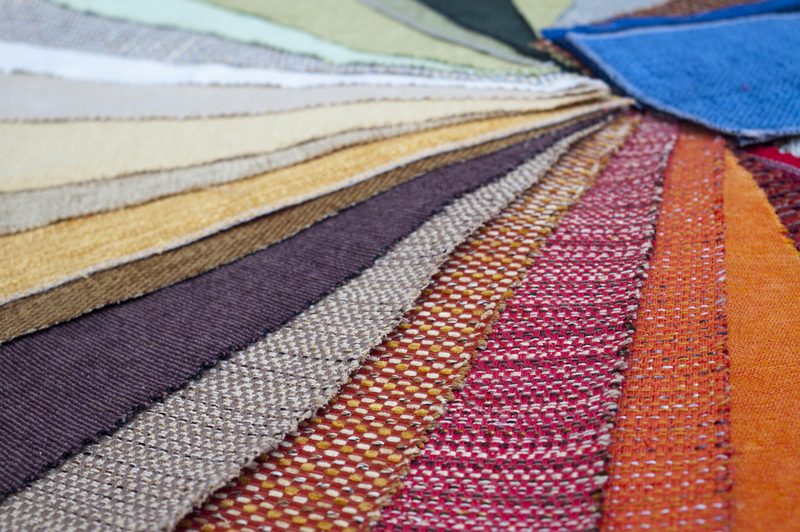 If you’ve decided on upholstery repairs, your next step is to choose a fabric. To get the most from your piece of furniture, you’ll want a fabric that is built to last. We take a look at the most durable types of fabric on the market. Will it stand up well to wear and tear? Does it fade or fray easily? Microfiber is a synthetic material that is designed specifically for extra durability. Tiny polyester fibres are woven together very tightly, creating a soft material that feels like suede, or in the case of denser fibres, corduroy. Microfiber is water repellent and handles spills well, keeping the liquid on the surface instead of letting it seeping through. It is an ideal fabric for people with pets as the closely woven fibres are hard for pets to scratch through. Leather is made from the treated hides of animals, most commonly cows. It provides a beautiful, smooth covering for couches, although it can be very expensive and can be hot and sticky in the summer and cold in the winter. Leather is an incredibly durable material that can last for decades if taken care of properly. It is water resistant and easy to clean, although can be scratched or torn by sharp objects. Leather lookalikes, such as pleather and vinyl, look just as good as leather and are almost as durable. They can be cleaned easily by wiping down with a cloth although they are more susceptible to scratches and tears than leather. Pleather and other artificial leathers such as leatherette and koskin, are made by bonding natural or synthetic fibres like cotton or polyester with plastic coatings. They provide an alternative for people who cannot purchase leather for financial or ethical reasons. Vinyl is the commercial name for a polymer called polyvinyl chloride; all that means is that the term vinyl refers to material with a specific chemical makeup. Vinyl can be a little stiff and scratchy but it is incredibly durable and a good material for children’s furniture. A cotton blend with a tight weave can offer good durability, especially when woven into a fabric like denim. Cotton offers excellent resistance to wear and tear and fading, but it isn’t as tough as the other fabrics in terms of standing up to damage. It also doesn’t offer any stain resistance so consider using a treatment for items that are used regularly. Cotton is the most economical option on this list. – A durable fabric is more important in high-traffic areas. If money is a problem, consider splashing out on the leather for the lounge room and a sturdy cotton for the guest room. – Consider who will be using the piece. If you have indoor pets, invest in microfiber or leather pieces. – If you have small children, you’ll want something dark and stain resistant. – A higher thread count – i.e. the number of threads per square inch of fabric – lasts longer. As well as fabric durability, think about the colours and patterns in your fabric. Do they match the rest of the room? Do they match the piece? A large pattern might get lost on a small, delicate piece of furniture, or may overwhelm a small room. For more advice on fabric choices, contact the team at Lounge Repair Guys by calling our Brisbane office on 1300 10 15 10.